All prints are for sale. Please, read below. One Euro Italy takes spectators on a 1,000-mile journey through tiny communities in the Italian regions of Piemonte, Liguria, Toscana, Marche, Abruzzo, and Sicilia. It’s the author’s visual quest to depict the consequences of natural inhabitants’ migration from small communities to cities and other countries. Presented through Tesker’s interaction with amazing people still living in these tiny localities, his photographic story talks about their spirit and captivating energy of their villages, rather than portraying a dark destiny of places becoming nearly abandoned. One Euro Italy: il grande spirito del paese piccoli is Serge’s photographic project, which he would like to be different from traditional photojournalistic dramas. It is author’s visual representation of a natural phenomenon ‘cased by population migration from towns and villages to cities. The project is presented through author’s direct social engagement with people and collecting stories about those places. The author hopes it is a true portrayal of the essence and poetry of the vast part of Italy so often shadowed by its own incredible landmarks and majestic shorelines. It all started in early 2017 with Serge being deeply worried about some dark destiny of small nearly abandoned Italian communities. He set out to find and photograph some beauty in that darkness, but he found something else. He found the beauty in the light. It was the light of people’s spirit. On his next 4,600km trip through Italy, Serge went with the new goal – to reveal that great spirit of fabulous people, who still keep their tiny localities alive, delightful and welcoming, despite the fact they might be the last souls inhabiting these villages. Since Italy already has more UNESCO heritage sites than any other country on Earth, it’s very unlikely any of those tiny charming communities will ever be added to the big list – one of the reasons author thinks they are endangered cultural and historical heritage our world can loose forever! In an effort to reverse that, some regional municipal governments made first steps towards preservation by starting “House for one euro” (www.casea1euro.it) program, which is now being supported by Italian government. 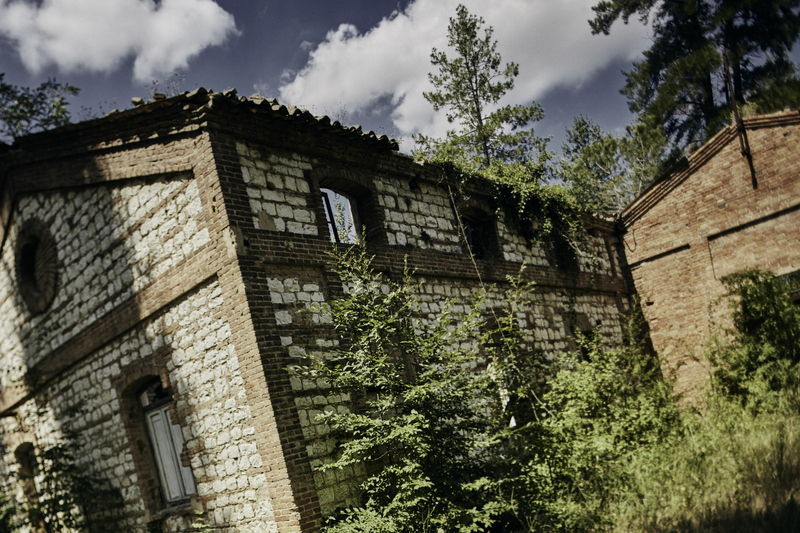 While it is true that some properties in participating villages could be purchased for one euro, most of them are ruins in need of total restoration from the ground up. Not an easy task and no wonder there’s not too many potential buyers bidding on that kind of properties. By showcasing the beauty of these places, the lifestyle, the love and care of people who live there, Serge puts up a wake up call to tell people that these are still an incredible communities to live, enjoy life, restore and save them. Because if we do nothing to preserve that heritage now, before too long many of them, if not all, will become ruins – “one euro” properties, in other words. Hence the name of Serge’s project. The solo exhibition of project photographs was held from May 8th to 29th, 2018 at Joseph D. Carrier Art Gallery in Columbus Centre, Toronto and was included in Open Exhibition Program of CONTACT Photography Festival. TORONTO – APRIL 2018 – Villa Charities will present Russian-born artist Sergey Tesker’s exhibition, “One Euro Italy,” from May 4 – 28, 2018. As part of the Open Exhibition Program for the 2018 Scotiabank CONTACT Photography Festival, the exhibition will be held at Toronto’s Columbus Centre in the Joseph D. Carrier Art Gallery, which is free and open to the public Monday to Friday from 10 a.m. to 5 p.m.
For more information on the “One Euro Italy” exhibition, visit www.villacharities.com. Villa Charities Inc. is a registered charity and non-profit organization that celebrates and promotes the Italian Heritage, Culture, Language, Arts, Food and Family Values. For almost 50 years across the GTA, Villa Charities has provided care for seniors and offered educational and cultural programs in music, dance, visual arts, culinary arts, athletics and more. The Villa Charities family includes Villa Colombo Homes for the Aged Inc. in Toronto; Villa Colombo Vaughan/Di Poce Centre; Caboto Terrace, Casa Del Zotto and Casa Abruzzo apartments for independent seniors; the Columbus Centre; and Joseph D. Carrier Art Gallery. Watch OMNI News Italian video about the exhibition HERE and the Exhibition Opening Reception video by Bruce Outridge Productions HERE. LIMITED EDITION (1 of 5) 17″x 23″ PRINTS AVAILABLE FOR PURCHASE. SIZES: Matted & mounted ready to frame – 19.5”x27”; Framed – 21.5″x 29″. PLEASE, contact me about the prices, availability and other details using image caption and/or number from the catalogue below. Shipping cost will be added based on your location. Payments accepted by Credit/Debit card, PayPal, E-transfer.